As a member of CAA, you already know you can get a discount to our Annual Conference – taking place in New York, February 15-18, 2017 – receive subscriptions to CAA publications like The Art Bulletin and Art Journal, access to our online career center, and also receive benefits through our member partners to everything from discounts on web development services, print subscriptions rates, health insurance and car rentals, to exclusive member-only access to art fair previews and events. In addition to connecting you to a vital network of professionals in the visual arts, we want your CAA membership benefits to match your needs. What new membership benefits or partners would you like to see develop? Please email Vivian Woo, CAA Marketing and Development Manager vwoo@collegeart.org by September 30th and tell us what membership benefits would be meaningful to you. Contact us today! Did you know that as a CAA member, you can save up to 25% off Avis base rates when making a reservation with Avis Worldwide Discount? As you plan your get away for the last month of summer, make sure you get the most out of your car rental options! Special discounts are available on a wide selection of vehicles from eco-friendly and fuel-efficient compacts and hybrids to stylish premium and luxury sedans. The Avis Budget Group, Inc. is a leading global provider of vehicle rental services, both through its Avis and Budget brands, which have more than 11,000 rental locations in approximately 180 countries around the world. Visit the special Avis page for CAA members to learn more about your benefits. And don’t miss the Avis discounts offered during the Annual Conference! 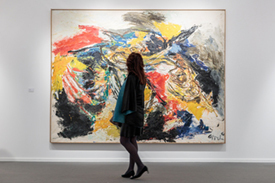 For CAA Members Only: 3 Exclusive Offers from frieze! Insightful, intelligent, and exquisitely designed, frieze is the leading magazine in contemporary art and culture. frieze profiles emerging artists and highlights new currents in art practice as well as offering a fresh perspective on more established artists. 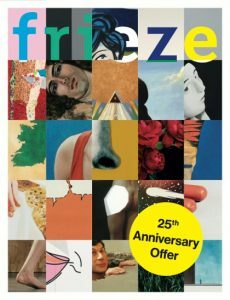 In celebration of frieze‘s 25th anniversary we are offering the first issue free to CAA members when purchasing a subscription! (9 issues for the price of 8). All subscriptions will be started with the September issue, which will be published with three different covers, all special commissions by Sarah Cwynar, Chris Ofili and Rosemarie Trockel. You can select which cover you would like to receive (or we can surprise you)! If you decide to cancel your subscription before your second copy is dispatched (for any reason), we will offer you a full refund. Frieze Masters Magazine is an annual publication that looks at the art of the past through the lens of the present. Issue 5 includes features on Caravaggio and Hieronymus Bosch. The issue also focuses on the medieval women who painted illuminated manuscripts, Henry James‘s fascination with women looking at classical sculpture and Sigmund Freud‘s preoccupation with Michelangelo. Again, this year, Frieze Masters also includes ‘Artist’s Artists’, for which contemporary artists are invited to discuss a work of art from the past that has influenced them. This year’s respondents include Francesco Clement, Cao Fei, Nancy Grossman, Heather Phillipson, and Fiona Rae, among many others. Issue 5 is published on 5 September and we are offering CAA members the opportunity to pre-order their copy and receive free shipping on their order. Discover several thousand years of art history in a unique contemporary context at Frieze Masters in London (6-9 October 2016). CAA members can enjoy an exclusive offer of 25% off One-Day weekday tickets. Simply purchase tickets and enter code CAA16 at checkout. As one of the most venerable American art publications for collectors, artists, art dealers, and art professionals, Art in America is CAA’s featured membership partner for July. Since 1913, Art in America has been instrumental in defining the many art movements that coalesced over the course of a dynamic century. The magazine works with the finest critics, scholars and reporters, identifying trends and creating a record of key developments in the world of art. Having earned a reputation for the highest journalistic and critical standards, Art in America has helped shape the sensibilities and standards of generations of curators, artists, collectors and dealers. Each month Art in America, the world’s premiere art magazine, provides in-depth coverage of the global, and often controversial, art scene. Every issue contains articles on both respected and rising talents, and reviews of current exhibitions around the world. Each subscription to Art in America includes the “Guide to Museums, Galleries & Artists,” published in August. 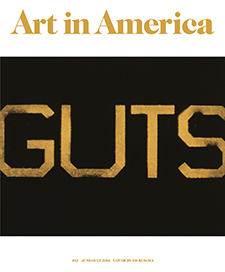 CAA members can receive a special discount (CAA members $24.95; regular $45) on a one-year subscription to Art in America. Simply log into your CAA member page to unlock the special discount code and apply it to checkout on the Art in America subscription page. For over 20 years, Bookforum has showcased daring writing about the important ideas of our time, with incisive essays on politics, pop culture, literature, and the arts. Bookforum follows in the rich tradition of Artforum, its sister magazine, featuring reviews and criticism by both distinguished figures and exciting new voices. 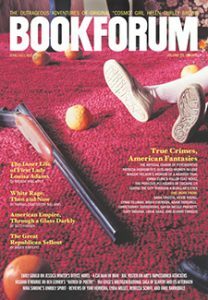 Bookforum’s Summer issue on “True Crimes, American Fantasies” with writing from Gary Indiana, Terry Castle, Dana Spiotta, and more is on newsstands now. As a CAA member, subscribe today and take advantage of the CAA member rate, PLUS get the True Crimes Summer issue free! Subscribe to Bookforum, and receive six issues of the best in literature and cultural affairs for just $15. If you live in the US, you can also receive Bookforum at no additional cost with your subscription to Artforum. Subscribe to Artforum at the member rate of $45 per year. CAA members, please log into your account to access the special discount code and unlock both offers. Exclusive Promotion from CAA Membership Partner, frieze! frieze offers insightful criticism, beautiful design, and opinion pieces from around the world. Including reviews, interviews, city reports, and worldwide listings alongside features on emerging artists and trends as well as fresh perspectives on more established artists – frieze is essential reading for anyone interested in visual culture. Subscribe now and take advantage of a 10% discount for subscribers to the CAA newsletter. Simply go to shopcc.frieze.com and enter the code CAA16 at checkout. 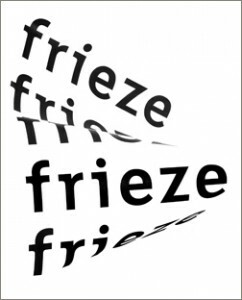 A year’s subscription (8 issues) includes free delivery to your door and unrestricted access to the current issue and archive on frieze.com – 25 years of frieze! College Art Association members can receive a 15% discount on tickets to Frieze New York on Thursday, May 5 or Friday, May 6. To redeem, please log into your CAA account and find the promo code in the Member Benefits section. Tickets must be purchased at frieze.com. The fair brings together more than 200 of the world’s leading galleries to showcase emerging talents together with the most iconic names in contemporary art. Alongside innovative, curated sections, visitors can also enjoy a celebrated series of talks and site-specific artist commissions.